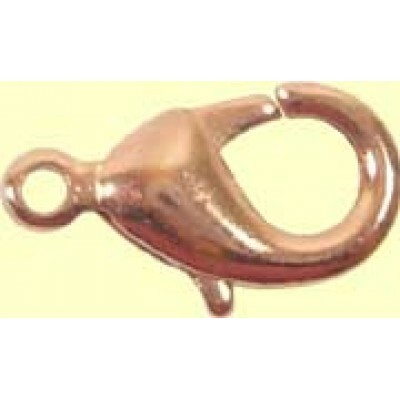 1 Copper Caribiner Clasp - measures approx. 12.5 x 7 x 3.5 mm inclusive of the stringing ring. Note that this clasp is made of brass and has a heavy copper plated finish, indistinguishable from pure copper. (Copper does not have sufficient strength for this purpose). Our copper items are sourced directly from the manufacturer so we can confirm they are pure/ solid copper where stated. With the exception of copper wire, there is no finish lacquer so the copper will tarnish with time and may be antiqued using suitable fluids with no further surface preparation. The lacquer on wire is easily removed with wire wool if required.